Bloodlands is the follow-up to ASH BORER‘s masterpiece Cold Of Ages that was released late 2012 (and didn’t see its vinyl release until April 2013). Bloodlands is a two-song EP and just as one might expect from ASH BORER, these two songs are more extensive than other band’s full albums. For 34 minutes and 37 seconds the band displays the fireworks of emotion, tension and melancholy like barely any other artist is capable of these days. ASH BORER‘s music was never made for days of a seemingly endless summer that we have witnessed during the last few weeks. Rather it seems to be the perfect accompaniment to those days of shift between summer and autumn, when the early morning hours are already so cold you can see the breath leaving your mouth like your roaming soul after your passing. When fog emerges in the valleys and forests nearby the water and the leafs slowly beginn to adopt those wonderful yet cynic colours of demise and waning. 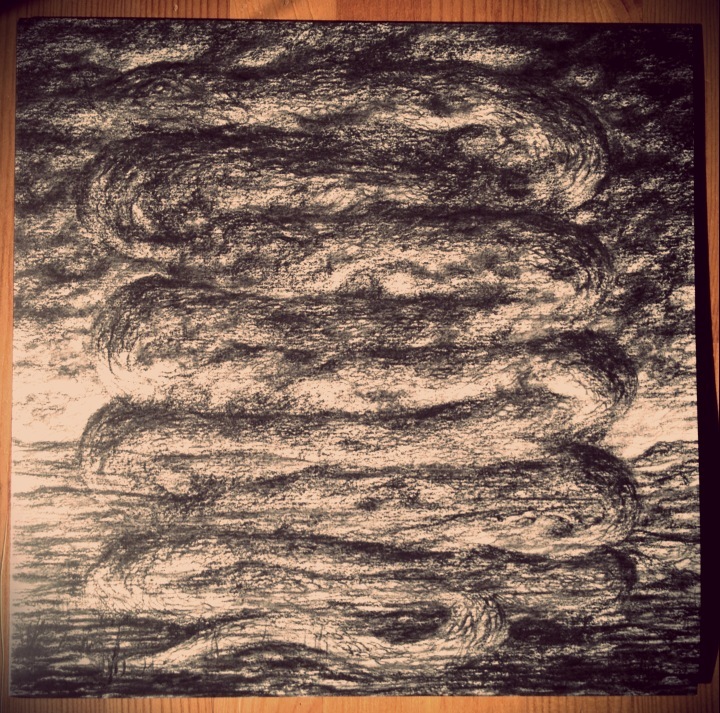 ASH BORER‘s take on Black Metal perfectly reflects this mood, the bittersweet melancholy that seems to be inscribed in every tree, every rock and every dawn. The golden sunlight that’s still reminiscent of its own strength just a few weeks back but knows it is condemned to faint every passing day. Although the first track on Bloodlands carries the word “spring” in its title, the musical implementation admits of no doubt that ASH BORER keeps dwelling in its earthen realm of melancholy and despair. Oblivion’s Spring starts with a simple riff consisting of single notes played with a moody chorus effect. The modest application of keys on top brings a gloomy, grasping melody with it, the tension grows to an almost unbearable extent. This introduction ends very abruptly – hell breaks loose at minute 2:46 when the guitars switch to classic Black Metal tremolo riffing and drums as well as the manic vocals set in. But even when ASH BORER works with these rather generic Black Metal stylistics, the band stands out of the myriads of other bands. Like described in an older post here, the feeling created by the music is deeply organic and lively, and due to this extremely emotive. Both songs, Oblivion’s Spring and Dirge/Purgation, mainly live off the intense, wide dynamic range ASH BORER has perfected on this record. Although the style of music is different, the span between loud/aggressive and quiet/fragile is not too far away from Post Rock outfits like Explosions In The Sky. The record as a whole ebbs and flows continuously, intense, trance-like passages with relentless blast-beats and buzzing guitars alternate with reverberant, tender moments that breath life into the music and are definetely ASH BORER‘s strongest trademark. The production of Bloodlands is a bit different to Cold Of Ages‘s, a bit rawer, arguably more agressive. Drums and bass are pretty much the backdrop for the prominent guitars and not exactly nuanced, but it’s this reluctance that makes ASH BORER‘s rhythm section such an important part of the band. The vocals are burried really deep in the mix, if you don’t concentrate on them you can easily fail to hear them at all. Since there are no lyrics included one can only assume what Bloodlands is all about – and even that isn’t an easy task. The most obvious interpretation of Bloodlands would be land that sees or has seen a lot of war and violence. In his hotly debated book Bloodlands: Europe between Hitler and Stalin the author Timothy Snyder describes the slaughter of millions of civilists in central Europe between Berlin and Moscow (the bloodlands) by German and Russian deliberate policies unrelated to actual combat. But as there is no information about the background of ASH BORER‘s Bloodlands one can not know if the title really refers to the cruelty that took place in Europe in the 20th century. Maybe the title speaks of other bloodlands, which are forgotten by now. 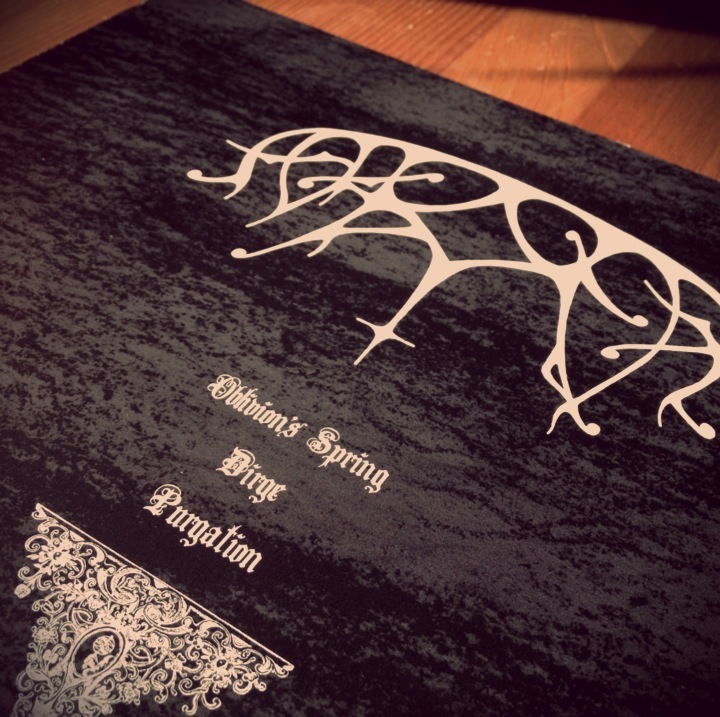 The track title Oblivion’s Spring might point into that direction, same as Dirge (/ Purgation). The cover artwork is dominated by a dark, unsettled figure, a snake. Snakes are found in most ancient mythologies although their meaning differs quite a lot: in ancient Greece for example the snake was a positive symbol for immortality and clairvoyance, whereas in the Bible it basically represents Satan himself. On Bloodlands however the snake is very threatening and appears to be superior to the viewer. With these features one might think of the Egyptian god Apophis, a giant snake, which embodies dissolution, darkness and chaos and was regarded as antagonist of the sun god Re – and therefore seems to be a fitting subject for a record called Bloodlands. The artwork was done by Timo Ketola, who is famous for his work for many different artists like Deathspell Omega, Opeth or Watain. Bloodlands is another piece in ASH BORER‘s upscale discography, further establishing the grasping dynamics and distinctive trademarks that make the band one of USBM’s definite flagships. The record was released by Gilhead Media, Psychic Violence and Thrill Jockey on 12″ vinyl (100 test pressings, 200 opaque grey and 800 black).